Branding, logo design, album design, poster design, advertising and textiles. Click on the image for more details, be sure to scroll down and check back as new projects, designs and art added every month. Harkening back to the late 60's music scene when bands had hand illustrated logos and psychedelic sounds I inked this logo for Portland, Oregon's garage rock and psych outfit: The Reverberations. To get started I put pencil, compass and ruler to paper to map out the 14 letter radial design. The final product lends itself to a circular motif and most notably the drummers kick drum. The inner circle (in the main case a warped record of sorts) was designed intentionally to be swapped out for other art; this gives the band options to change the theme or art but maintain the lettering and typography for recognition. Currently the band is using my 'EYE" version; notice the modified the R and S letterforms. 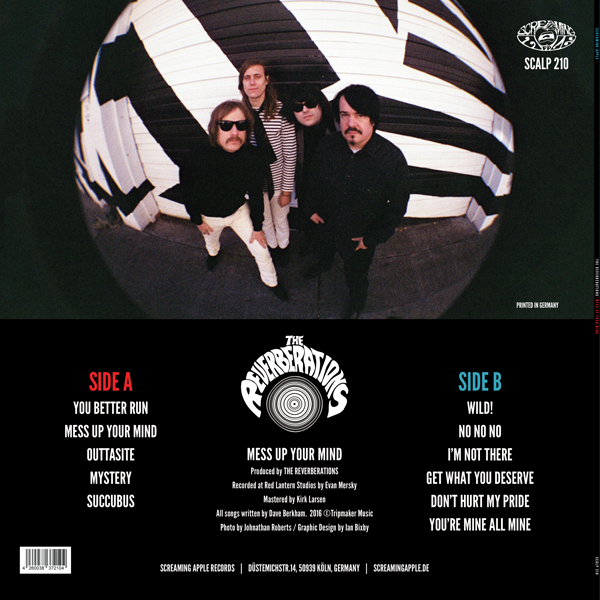 The Reverberations MESS UP YOUR MIND album design. Art direction, illustration, layout and design for Screaming Apple Records out of Germany. 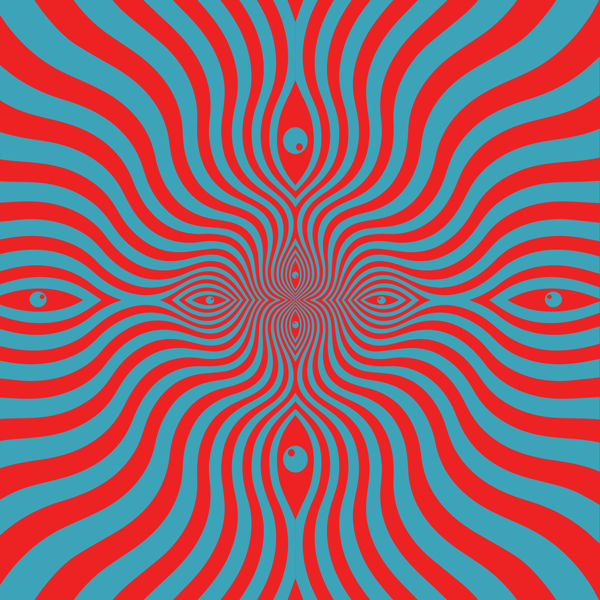 The colors of the LP are intentionally bright to create an intense image... or MESS UP YOUR MIND. Hypercolor design. Orange logo in it's static state changes to yellow depending on body heat. The videos show the reverse, hot to cold. Usually it creates a marbled effect, so hot... yet so cool. The Reverberations hypercolor shirt being printed. The Reverberations hypercolor shirt in action.